From the historical perspective that we enjoy today, and considering that they fought five bloody wars within the time span of one generation (1948-1973), Israel and Egypt put an end to their state of war with relative ease. In March 1979, the two countries signed a peace treaty. And, although the peace that resulted has been far from ‘warm’, it has successfully survived difficult tests and can certainly be characterized as ‘stable’. Following the Israeli-Egyptian treaty, Jordan officially revealed the clandestine relations it had hitherto maintained with Israel for decades. The Israeli-Egyptian treaty was also followed by Israeli contact with Syria (which since 1975 has strictly maintained its separation of forces agreement) and, via Syria, with Lebanon. In 1991, when Iraq attacked Israel with missiles during the first Gulf War, Egypt, Syria, and Saudi Arabia were on Israel’s side - whether they like to admit it or not - by virtue of their membership in the American-led coalition that attacked Iraq. Despite all of this, blood is still being shed in Israel/Palestine. The geographical unit defined by the British Mandate as Palestine still remains a permanent source of local and international instability. I argue that by discontinuing their war against Israel, the surrounding Arab states made room for the resumption of a different, new/old war, which, as I explain below, first erupted prior to the Arab-Israeli interstate war: the civil war between the Jewish-Zionist settler society and Palestinian Arabs, a war over Palestine. Academic scholarship on the conflict tends not to mark 1945 as its beginning. Most pieces of scholarship refer to 1948. Thorough studies trace the conflict back to the years 1917-1923, or the beginning of British rule in Palestine. A few others trace it back to the beginning of Zionist settlement in the country towards the end of the 19th century.2 For clear reasons, no one claims that the conflict came to an end in 1979, after the Israeli-Egyptian peace treaty appeared to put an end to the era of Arab-Israeli interstate wars. This con-fusion stems to a large degree from the fact that the Arab-Israeli conflict is not one, but rather two conflicts, both of which are complexly and inextricably linked in a number of ways. Zionist Jews in Palestine (or the pre-1948 Jewish autonomy in the country) and later the state of Israel have permanently been a party to the conflict. By contrast, the ‘Arabs’ - or the Palestinians and the Arab states surrounding Palestine - have been changing parties to the overall conflict and its many different wars. Israel and the Middle East after 1967. It should therefore come as no surprise that this conflict over land and water quickly became a conflict over territory, holy places, and future sovereignty between two national groups: a Jewish/Zionist group, which would later become Israeli, and an Arab/Palestinian group, which would later be called Palestinian. This conflict assumed the character of a continuous civil war, fluctuating in intensity from its onset in 1920 until its height in 1948. The crushing defeat suffered by the Palestinian Arabs at the hands of the Palestinian Jews in 1948 caused a temporary hiatus in this conflict, at least until the 1970s. This break in the conflict, and its subsequent resumption, was caused not only by the Jewish/Zionist victory but also by the rise and fall of a different conflict: the conflict between Israel and the surrounding Arab countries. The new international reality that followed World War Two caused Britain and France to relinquish direct rule in the Middle East, and the Arab states received full independence. By mid-1948, despite continued Anglo-French in-fluence, the Arab states were ready for a limited war against Israel, which, like them, had also recently gained independence. But internal tensions within Palestine had already evolved into a bitter Jewish-Arab civil war, erupting first in the country’s urban centers, where friction between the two national communities was the greatest. From there, the civil war spread to the country’s rural areas. While such civil wars tend not to have traditional front lines, this war had a clear victor. The war erupted in December 1947 with sporadic displays of violence and concluded in May 1948 with the decisive defeat of the Palestinian Arabs by the Jewish inhabitants of Palestine. 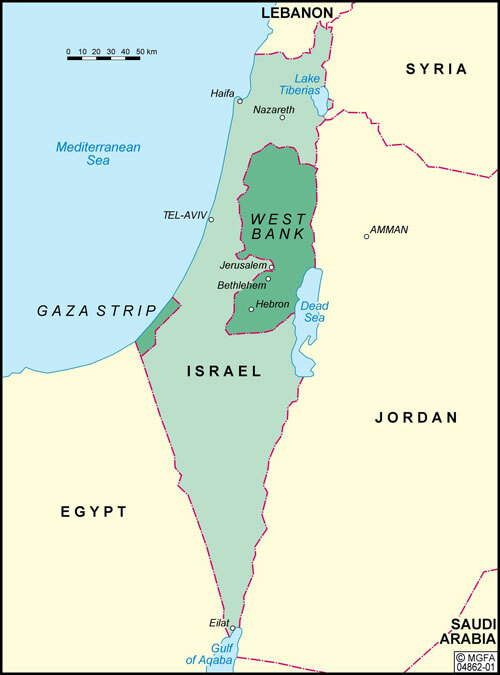 After 1948, the Palestinian Arabs remained passive for a generation, not only due to their bitter defeat, but also due to the common interest shared by Israel and its neighboring Arab states in excluding them from the conflict. During the time between the Arab states’ invasion (15 May 1948) and the signing of the Israeli-Syrian armistice (20 July 1949, the last in a series of ar-mistices with Arab states in 1949), one basic fact was undeniably clear: all participants in the war, for their own reasons, had no interest in the continuation of the civil war in Israel/Palestine. The discussions held by the Arab League on the eve of the May 1948 inva-sion clearly reflected the fact that the Arab states were not sincerely interested in the Palestinian issue. After the war, not even the waves of refugees (which were problematic for all of Israel’s neighbors) brought the Arab states to take action in accordance with the refugees’ collective national interests; that is, with an eye to establishing a Palestinian state. After 1949, the conflict sustained by these countries with Israel was subordinated to their own distinct interests as individual states. In this context, Arab declarations should not mislead us. The only chance for advancing the battered Palestinian interest lay in the Pan-Arab myth, which could be given expression only through the actions of the Arab League. But after 1945, Pan-Arabism became a political concept with steadily declining practical value. Britain’s final withdrawal from Palestine in May 1948, after the Palestinians’ decisive defeat in the civil war, pitted the recently established state of Israel against its Arab neighbors for the first time. Not only was the character of the conflict about to change, but so were its motivating forces. The factors motivating the participants in the new conflict did not run as deep and were not as dramatic as those that had motivated the Jewish-Arab civil war over Palestine. Israel’s conflict with the Palestinians was and, in many ways, still is a question of ‘to be or not to be’ for both sides. By contrast, the conflicts and wars between Israel and its Arab neighbors were limited in nature from the outset. This influenced both the nature of the wars that were to shape the conflict and the ability of the parties to eventually reach reasonable de jure (as in the case of Egypt and Jordan) and de facto (as in the case of Syria and Lebanon) arrangements. 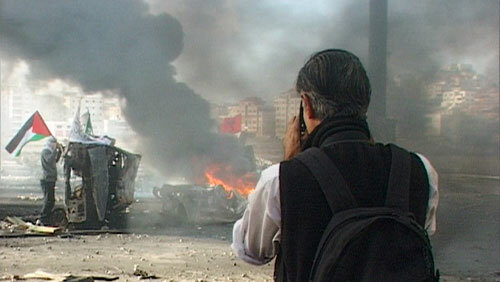 The third round began ten years later, as a result of deteriorating relations of which both sides lost control. Due to intensifying water-related conflagrations between Syria and Israel (1964-1967),14 Egypt placed military forces in the Sinai Peninsula in abrogation of the agreements that had been signed under UN auspices in 1957 following the Sinai war. Despite the fact that the Egyptians had prepared themselves defensively, Israel understood from Egyptian declarations that Egypt was aiming for war. Jordan was also affected by Egypt’s enthusiasm, signing a hasty mutual defense pact with Egypt. Israel, a country gripped by fear, was unable to handle additional political negotiations to solve the crisis. On 5 June 1967, the Israeli air-force attacked Egypt and Syria, and on the same day the IDF re-entered the Sinai Peninsula. In accordance with its obligations, Jordan began attacking Israel, and Israel therefore directed its army eastward as well. After the defeat of the Egyptian and Jordanian armies was almost complete and Israel conquered the Sinai and the West Bank (the Jordanian controlled territory west of the Jordan River, which included East Jerusalem), the IDF also entered Syria and by 11 June had conquered the Golan Heights.15 Egypt regained the Sinai Peninsula after its peace agreement with Israel, and Jordan unilaterally relinquished its claims to the West Bank in 1988. As we will see, it was the outcome of this war that facilitated the renewal of the civil war that had come to a halt in 1948. The fifth round began for Israel in the form of a well-known intelligence failure. On 6 October, the Egyptian and Syrian armies staged a coordinated surprise attack on Israel.17 After a number of failed attempts at repulsing it, the IDF began a counter-attack that eventually resulted with cease-fire lines west of the Suez Canal about 100 km from Cairo, despite the fact that some Egyptian forces remained cut off to the east of these lines (like the Third Army, which was under siege in the northern Suez Canal). On the Syrian front, IDF cannons threatened Damascus from a distance of only 40 km.18 The disengagement agreements signed between Israel and Egypt and Israel and Syria stipulated the return of troops to their pre-war positions. The Egyptian-Israeli disengagement agreement laid the basis for the peace treaty of 1979. While the Syrian-Israeli disengagement agreement has not served as the basis for a peace treaty, it has been consistently honored until today. Between the establishment of Israel in 1948, the conclusion of the 1973 war and the disengagement agreements in 1975, Israel’s borders have known not even one day of quiet. Nevertheless, the lion’s share of popular and academic attention has, justifiably, been focused on the five rounds of warfare discussed above. Indeed, the years 1948-1973 can be regarded as a twenty-five year war between Israel and its neighbors - one war, with five rounds, taking place over one generation. Not only were the wars separated by extremely short periods of time (six to ten years), but the conclusion of each war contained the seeds of the war that followed. In fact, had it not been for Sadat’s initiative and the Israeli government’s willingness to go along with it (1976-1979), it is likely that this pattern would have continued uninterrupted. In addition to these factors, all five rounds, including the War of Attrition, which was in some ways different from the other rounds, were like all wars in all places since World War Two, that is, limited to non-nuclear warfare. They were extremely similar in three important ways: First, they were all limited in time, scope, and aims. Second, each round fitted well into the international context of the time - the Cold War. Third, although the wars were waged during a period of international balance of power based on nuclear terror, the movement, character, and types of battlefields that characterized the warfare were in fact continuations of warfare characteristic of World War Two (primarily in Europe and the western desert). By contrast to the first round in 1948, during the third round, which took place in 1967, Israel possessed the economic and logistical capabilities and the international backing necessary to wage a long-term war. The coalition of Arab states that participated in the 1967 war, including Egypt, Jordan, and Syria, also enjoyed significantly greater capabilities and experience than the Arab coalition of 1948. However, the Arab countries’ quicker than expected defeat at the hands of Israel shocked both sides, and this (in addition to the pressure of the superpowers discussed below) resulted in a quick cessation of hostilities. Israel mostly limited its attacks to military targets or targets directly serving the war effort. Even though the surrounding Arab countries operated indiscriminately against Israeli targets, they did not succeed in causing significant damage to the Israeli civilian home front due to their quick defeat. However, the distinction between Israeli and Arab strikes against civilian home fronts cannot be understood in terms of war ethics. Rather, it was the result of a geographical situation in Israel in which there was no significant territorial difference between the front lines and the home front on the one hand, and in which Israeli forces were operating relatively far from the important civilian centers of the neighboring countries. But even if Israel had the ability to strike its neighbors with a critical blow by means of conventional, and, as it appears, non-conventional weapons, it did not do so. The fifth round was the closest of the five rounds to a total war, which appears to be the reason why it was the last round. Israel was surprised (at least on an intelligence and operational level) and, it seems, closer than ever before to using non-conventional weapons.22 However, this war was also ultimately limited to an intensive military confrontation on both sides of the Suez Canal on the Israeli-Egyptian front, and in the Golan Heights on the Israeli-Syrian front. In addition to these factors, a number of bilateral forces were extremely influential behind the scenes of the various rounds of Arab-Israeli warfare. Egypt never regarded the Palestinian conflict as an existential threat. Its army was the last to enter war in 1948 and the first to leave it in 1949. It is no coincidence that Egypt was the first to officially improve its relations with Israel, from the level of the cease-fire and armistice to that of the peace treaty. Israel and Lebanon have consistently maintained their agreement regarding the international border separating the two countries. In fact, if it had not been for Palestinian operations within Lebanon, neither Israel nor its neighbors would have had any interest in changing the border after the armistice agreement of 1949. For their part, Syria and Israel were able to prevent their bitter confrontation over water from developing into war until 1967, despite the temptation to resort to conflict. A function of the Cold War: As we have seen, Israel’s conflict with the surrounding Arab states was rooted in the period preceding the establishment of Israel and a number of its neighbors as sovereign states. Historical scholarship presents different reasons for each round. It is possible to distinctly charac-terize each Arab state’s battle against Israel for the entire 25 years under dis-cussion here (1948-1973). We can also identify local and regional factors for the entire conflict. However, it is important to note that each of the five mili-tary confrontations took place in the contemporary international context of the Cold War. To a certain degree, we can argue that the policies of the two major superpowers, which were at times expressed by their emissaries, periodically determined the length of the wars, sometimes determined whether they broke out at all, and always determined their limited nature and the manner in which they were concluded. Relations between the two major superpowers, and between each superpower and its allies, were consistently accompanied by dramatically influential policies that either encouraged or discouraged war in each instance. During the fifth and final round, Egypt acted to the chagrin of the USSR, and, for the first time, American actions taken to aid Israel bordered on active intervention. However, as we have seen, it was primarily the danger of slipping into nuclear war that stopped the war and made it the last round. It is reasonable to assume that another round of Arab-Israeli warfare could easily have led to a major tragedy for the entire world. Historical processes by nature do not abide by clearly organized rules, such as the rule that one process begins only after the previous one ends. In most cases, historical processes overlap chronologically to varying degrees. In this way, the civil war that died down in Palestine in 1948 came back to life and began having an impact even before the era of Arab-Israeli interstate wars came to an end. For the first time since 1948, the 1967 war created a public that was purely Palestinian (not Jordanian-Palestinian, Egyptian-Palestinian, or Israeli-Palestinian). Israel refrained from annexing the territories it occupied, and its population was placed under military rule. This political and demographic reality fueled the Palestinian national struggle. In conjunction with the Palestinians’ recovery from the shock of their monumental defeat in 1948, the crystallization of a Palestinian political force with considerable influence (especially in Lebanon), and the Arab states’ continuing failure in their wars against Israel, this reality returned the Palestinians to the struggle. By means of their transformation from a minor force just prior to the 1967 war, into a force carrying out terrorist actions against Israel and, by 1975, into the primary cause of the Lebanese civil war, the Palestinians reinvigorated the civil war over Palestine and made it a major force in Middle East politics. The conclusion of the Arab-Israeli wars contributed to this process. Furthermore, from the 1970s onward, all of Israel’s wars, whether inside or outside its own borders, were part of the renewed Palestinian civil war. A good example of this phenomenon is the Lebanon War. The war began with Israel’s Operation ‘Peace for the Galilee’ in June 1982, staged against Palestinians operating in Lebanon, and concluded with Israel itself getting bogged down in the Lebanese civil war. Beginning with IDF activity in Lebanon in 1976, continuing with Israel’s Operation Litani in 1978, and culminating with Operation Peace for the Galilee, Israeli forces invaded Lebanon according to the contemporary model of Arab-Israeli wars. However, after a quick and organized Syrian withdrawal from the country, the IDF took the unusual step of entering Beirut - an Arab capital - in its war against the semi-regular forces operating among the civilian population.30 In 1985, Israel’s failed attempt to forge a new order in Lebanon caused it to withdraw to a security zone located north of the international border, in Lebanese territory. The war continued within this security zone until the IDF withdrew from Lebanon completely in May 2000. From this point on, it was not the Lebanese army that faced Israeli forces in southern Lebanon. Rather, it was local forces such as Amal and Hizbullah, which adopted Palestinian methods of operation. In fact, in Lebanon, it appears that Israel reverted to the model of inter-communal warfare that had been waged in Mandate Palestine. When examining the overall Arab-Israeli conflict during the post-World War Two period, the rise and fall of conventional wars between Israel and the surrounding Arab countries is especially noteworthy. From the perspective of a historian today, it is clear that Israel’s wars with its neighbors constituted a break in the primary and fundamental conflict within the greater Arab-Israeli conflict: the conflict between Israel and the Palestinians. This is more of a running internal conflict than an interstate conflict over international influence, although this aspect plays an important role here as well. This explains the continuing and consistent failure of the United States or Europe to institute a peaceful settlement in the Middle East. The people living in Israel/Palestine hold primary responsibility for this failure. It is for them to decide whether the recent death of Arafat will further possible peace solutions or not. Neverthe-less, one can hardly escape the conclusion that, in the Israeli-Arab/Palestinian case, it is more difficult to put an end to the civil war over Palestine than to the interstate wars. 1 Benny Morris, Righteous Victims. A History of the Zionist-Arab Conflict, 1881-1999, New York 1999, pp. 452-455. 2 For the latest example of this (which is the exception), see Baruch Kimmerling/Joel S. Migdal, The Palestinian People. A History, Cambridge 2003. 3 Anita Shapira, Land and Power, Tel Aviv 1992 (Hebrew). 4 Yehoshua Porath, The Emergence of the Palestine-Arab National Movement, 1918-1929, London 1974. 5 Dvorah Barzilay Yegar, A National Home for the Jewish People. The Concept in British Thinking and Making 1917-1923, Jerusalem 2003 (Hebrew). 6 Yehoshua Porath, The Palestine-Arab National Movement, 1929-1939. From Riots to Rebellion, London 1977. 7 Morris, Righteous Victims (fn. 1), pp. 134-135. 8 Israel State Archives, Meetings of the Israeli Provisional Government, 2.6.1948, 14.6.1948, Vol. 1-2; Shelly L. Fried, ‘They Are Not Coming Back’. The Crystallization of Israeli Policy Toward Possible Solution to the Palestinian Refugee Problem, 1947-1956, Doctoral Thesis, Tel Aviv University 2003 (Hebrew). 9 Avi Shlaim, Collusion Across the Jordan. King Abdullah, the Zionist Movement and the Partition of Palestine, New York 1988. 10 IDF = Israel Defense Forces. Founded formally in May 1948. 11 Motti Golani (ed. ), Black Arrow. Gaza Raid and the Israeli Policy of Retaliation, Haifa 1994 (Hebrew). 12 Yemina Rosental, From War to an Agreement - Israel’s and its Neighbor’s Armistice Nego-tiation, in: Mordechai Naor (ed. ), First Year of Independence, 1948-1949, Jerusalem 1980 (Hebrew), pp. 177-200. 13 Motti Golani, Israel in Search of a War. The Sinai Campaign 1955-1956, Brighton 1998. 14 Ami Gluska, Eshkol, Give the Order! Israel’s Army Command and Political Leadership on the Road to the Six Day War, 1963-1967, Tel Aviv 2004, chapters 4-7 (Hebrew). 15 Michael Oren, The Six-Day War, in: Mordechai Bar-On (ed. ), A Never-Ending Conflict. A Guide to Israeli Military History, Westport 2004, pp. 133-137. 16 Dan Schueftan, Attrition. Egypt Post War Political Strategy, 1967-1970, Tel Aviv 1989 (Hebrew). 17 Uri Bar-Joseph, The Watchman Fell Asleep. The Surprise of Yom Kippur and its Sources, Tel Aviv 2001 (Hebrew). 18 Morris, Righteous Victims (fn. 1), p. 437. 19 Some good works dealt with these issues. See for example David Tal, War in Palestine, 1948: Strategy and Diplomacy, London 2004; Yoav Gelber, Independence Versus Nakba. Israel, the Palestinian and the Arab States 1948, Lod 2004 (Hebrew). 20 Motti Golani, The Sinai War, 1956. Three Partners, Three Wars, in: Bar-On, A Never-Ending Conflict (fn. 15), pp. 87-108. 21 Bar-Joseph, The Watchman (fn. 17), part A, pp. 35-67. 22 Seymour M. Hersh, The Samson Option. Israel, America and the Bomb, London 1993. 23 Shlaim, Collusion (fn. 9); Gluska, Eshkol (fn. 14), pp. 159-161; Moshe Zake, Hussein Making Peace, Ramat Gan 1996 (Hebrew). 24 Rosental, From War to an Agreement (fn. 12). 25 Mordechai Bar-On, The Gates of Gaza. Israel’s Road to Suez and Back, 1955-1957, London 1994; Golani, Israel in Search of a War (fn. 13). 26 Bar-Joseph, The Watchman (fn. 17), pp. 62-67. 27 Avner Cohen, Israel and the Bomb, New York 1998. 28 Martin van Creveld, The Art of War. War and Military Thought, London 2002, pp. 190-192. 29 Elhanan Orren (ed. ), H.B. Liddell Hart, Strategy of Bypassing Approach. Hundreds Generations of Wars, Tel Aviv 1978 (Hebrew); Cornelius Ryan, A Bridge Too Far, London 1974. 30 Ze’ev Schiff/Ehud Ya’ari, Israel’s Lebanon War, London 1985. 31 Idem, Intifada. The Palestinian Uprising - Israel’s Third Front, New York 1990. 32 Amos Harel/Avi Yisscharoff, The Seventh War: How We Won and Why We Have Failed in the War with the Palestinians, Tel Aviv 2004 (Hebrew). Motti Golani, From Civil War to Interstate War and Back again. The War over Israel/Palestine, 1945–2000, in: Zeithistorische Forschungen/Studies in Contemporary History, Online-Ausgabe, 2 (2005), H. 1, URL: http://www.zeithistorische-forschungen.de/1-2005/id=4495, Druckausgabe: S. 54-70.